One of my favorite movies is a British romantic comedy called About Time. Here’s the plot: When the males in a certain family reach the age of twenty-one, they’re given the special ability to travel through time and re-set the clock. They get a free pass, a re-do. Doesn’t that sound awesome? To erase the effect of a sharp word, a joke that fell flat, or avoid a misunderstanding. If I had that special time-travel ability, I’d be revising and editing my life a dozen times a day. Have you ever wished you could turn back the clock and have a second chance at something? Luke Schrock in Mending Fences sure did. He’s back in Stoney Ridge after a long stint in rehab, coming face to face with all the poor choices he’d made before he left. Bishop David Stoltzfus wants Luke to make a list of all those he harmed so he can make amends. They’re step 8 and 9 of the Twelve Steps Program, he told Luke, as he handed him a paper and pen. David pointed to the paper. “Keep going, Luke,” he said. Four pages later, Luke had completed his list of wrongdoings. And now it was time to start mending fences. As he made his way down the list, he learned a few things about himself. If the bishop hadn’t made him ask, Luke never would’ve known the consequences of his behavior. Frankly, he would’ve preferred not knowing. But some consequences, unlike in the movie “About Time,” can’t be avoided. Another thing Luke discovered in his mending fences journey—a sincere, heartfelt apology was powerful. That was another important discovery Luke made. Most relationships could be mended, and even grow stronger. Think what Luke would have missed, if he’d been able to use the quick fix method in the About Time movie. All that personal growth and maturity and humility that will serve him so well in Book 2 and Book 3 of the Deacon’s Family series! Then think what you and I might miss when we neglect to swallow our pride and offer a sincere apology to someone we’ve hurt. Now that’s a lesson we all need to learn from Luke Schrock. Amos and Fern Lapp allow Luke to live at Windmill Farm under two conditions. First, Luke must make a sincere apology to each person he’s hurt–a four-page, single-spaced list. Second, he must ask each victim of mischief to describe the damage he caused. Simple, Luke thinks. Offering apologies is easy. But discovering the lasting effects his careless actions have caused . . . that isn’t so simple. It’s gut-wrenching. And his list keeps growing. Izzy Miranda, beautiful and frustratingly aloof, also boards at Windmill Farm. Luke’s clumsy efforts to befriend Izzy only insult and annoy her. Eager to impress, Luke sets out to prove himself to her by locating her mother. When he does, her identity sends shock waves through Stoney Ridge. 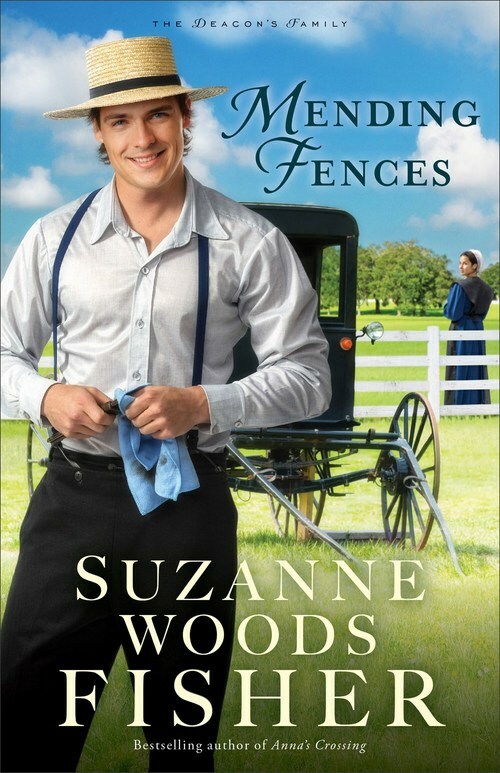 Bestselling and award-winning author Suzanne Woods Fisher returns to her beloved Stoney Ridge for this brand-new series featuring some of her readers’ favorite characters. 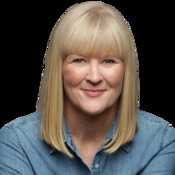 Suzanne Woods Fisher is an award-winning, bestselling author of more than thirty books, including Mending Fences, as well as the Nantucket Legacy, Amish Beginnings, The Bishop’s Family, and The Inn at Eagle Hill series, among other novels. She is also the author of several nonfiction books about the Amish, including Amish Peace and The Heart of the Amish. She lives in California.